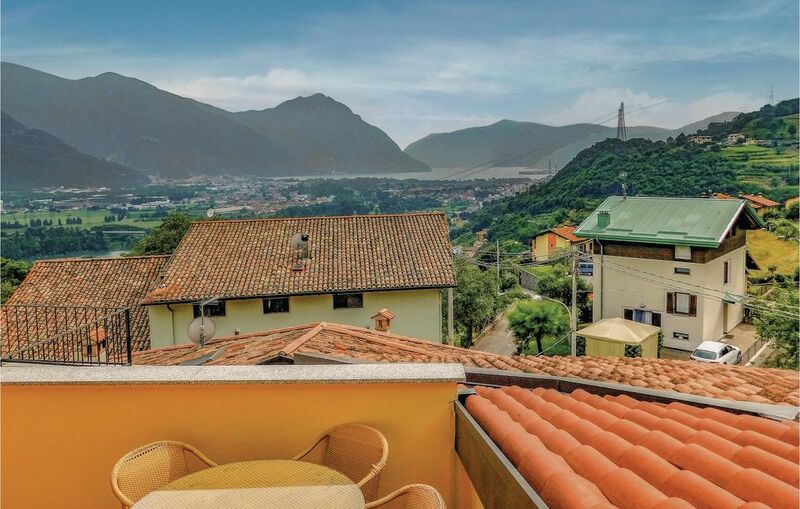 Enjoy the beautiful view of Lake Iseo from the panoramic terrace of this holiday apartment located in Rogno, between the famous Boario Terme (just 6 km) and the town of Lovere on the shores of Lake Iseo (just 8 km). The accommodation is on two two floors in an ancient castle dating back to the year 1274. From the apartment you can access the equipped panoramic terrace where you can spend pleasant moments. From here there is a beautiful panoramic view of the lake and the famous Monte Campione (20 km) with its 2000 m height, 30 km of ski slopes and 11 lifts. The area offers numerous opportunities for recreation such as hiking, Nordic walking, boating, sailing, and numerous excursions in the woods. Nearby is also the Franciacorta region, famous for the production of excellent wines.